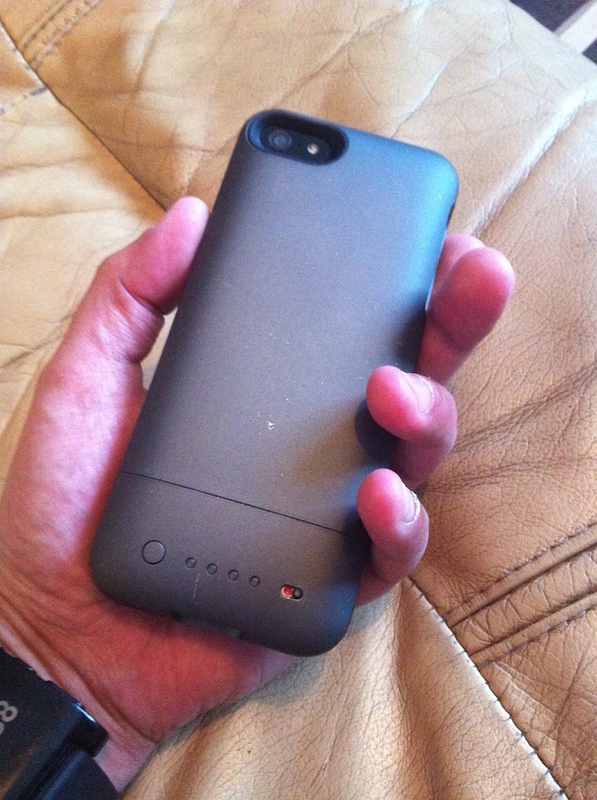 For the past few years I have loved using Mophie Juice Packs for various iPhones. My latest purchase is a Juice Pack Helium – it was the first product for the iPhone 5 – also compatible with the iPhone 5s – and was later updated to the Air. The Helium is the thinnest and lightest offering for the iPhone 5/5s. The Helium is 2.49” x 5.49” x 0.59”. The Air at 2.58” x 5.55” x 0.63”. The Plus is 2.63” x 5.58” x 0.69”. It might not look like a big difference on paper, but in the hand the Helium feels much lighter and thinner than the Air. The Juice Pack Helium features a 1500mAh built in battery which Mophie claims will give your iPhone around 80% charge from flat – however in the real world is more like 60%. That is still enough to add around half a days extra power – which is more than enough for most users, who just want to eek a little more from their phone or ensure on a heavy day it will last. You do sacrifice battery power in favour of thinness and weight, but if you really wanted maximum extra battery you would go for the very bulky Juice Pack Plus which packs a whopping 2100mAh battery offering enough to fully recharge your phone with some extra left too. The Helium comes in two parts. 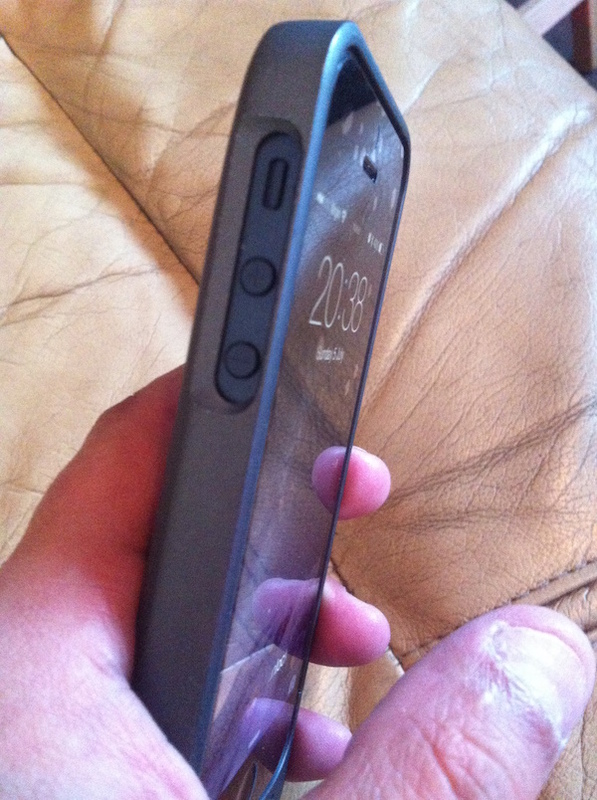 You slide the phone in to the top part and then attach the bottom on completely sealing the phone. The two halves click together very tightly. Both the Air and Plus rehouse the buttons on your iPhone – whereas the Helium has cut outs on the side for the volume buttons and silence switch and another cut out for the power button, making them recessed. This annoyed quite a few users – and on previous models I have owned, this did annoy me too – however I actually like it on the Helium. I found the rehoused buttons on the Air quite unresponsive and hard to use especially the silence switch. The back of the Helium features the usual switch to turn on the battery pack, the LED indicator and button to check the level of charge in the Mophie. Below the phone is the pass through grills for the speaker and microphone. 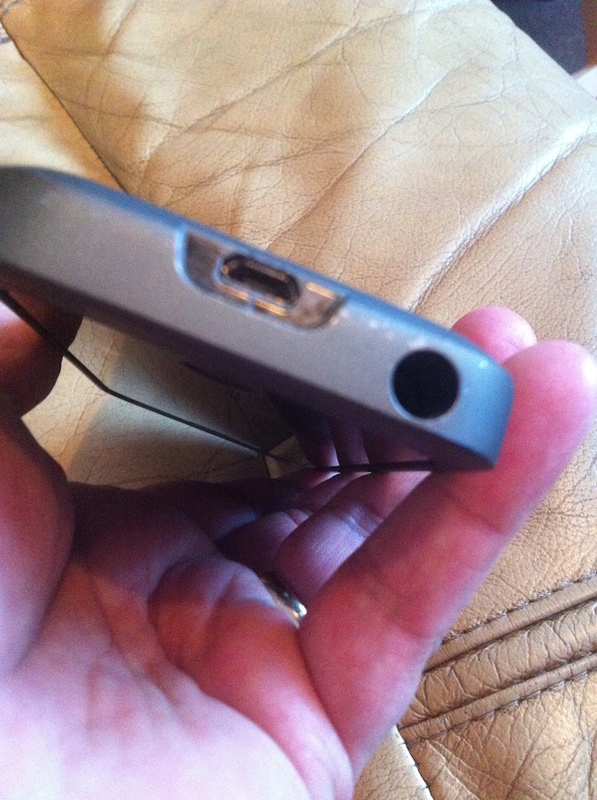 The bottom has a Micro USB port for charging. Unlike Juice Packs for earlier iPhones you cannot sync via the Micro USB port, you have to remove the bottom and sync via the lightning port. I dont think this is a fault on Mophies part, but probably down to licensing issues from Apple. 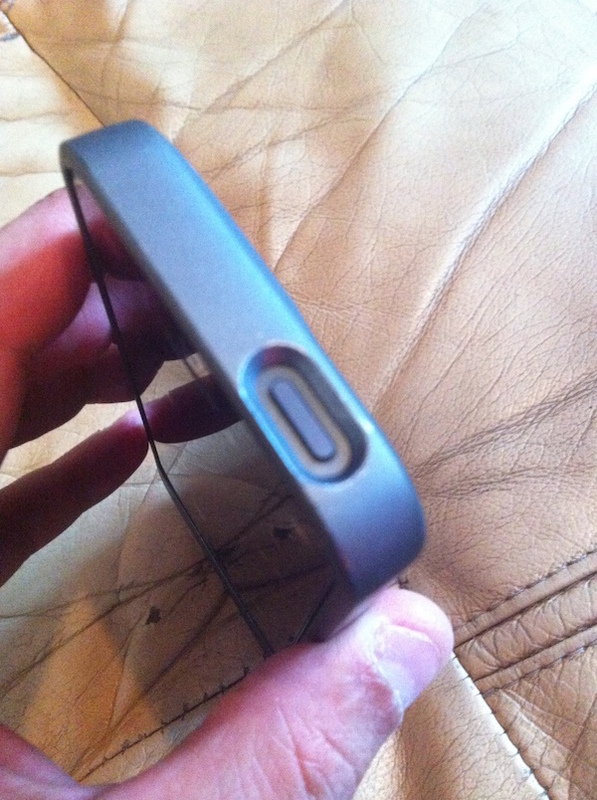 Also on the bottom is the hole for your headphones. Because of the extra length on the bottom (which is however shorter than the Air) Mophie supplied a small extender – but I found you can insert Apple EarPods quite easily without it. The texture of the Juice Pack has a rough feel all round meaning it gives you superb grip in your hand. Oddly enough the Helium is not available in black – but a selection of rather ugly colours including green, pink, purple as well as dark silver, which is what I picked up. It actually looks very nice. The slight colour difference between the dark silver Mophie and my black iPhone 5 looks great. There isn’t much more you can say about Mophie Juice Packs after you have reviewed numerous models. They are all sturdy cases with a backup battery built in for charging your iPhone on the go. The main differences are physical size, battery size and available colours. The Helium is great for most users. If you want as much battery as you can then you would go for a Plus. I have owned a Plus for an iPhone 4 before and the added bulk really gets to me, so I am happy with this Helium for its compromise of size over battery. 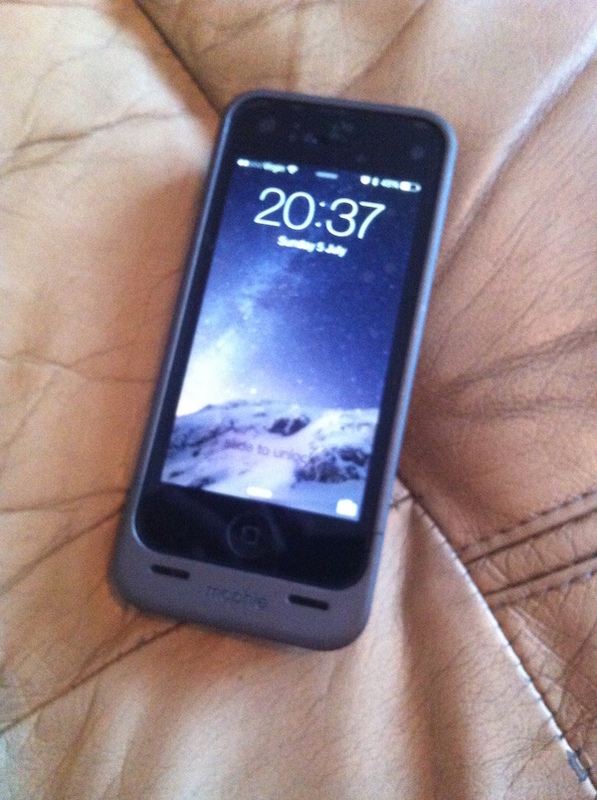 I love Mophie products and I love this Juice Pack Helium. Juice Pack Air iPhone 5/5s Review, Juice Pack Plus iPhone 4/4s Review, Juice Pack Plus iPhone 4/4s Revisited, Juice Pack Air iPhone 4/4s Review and Juice Pack Air iPhone 3G/3GS Mini Review.